Ah “Good Furniture Magazine”. 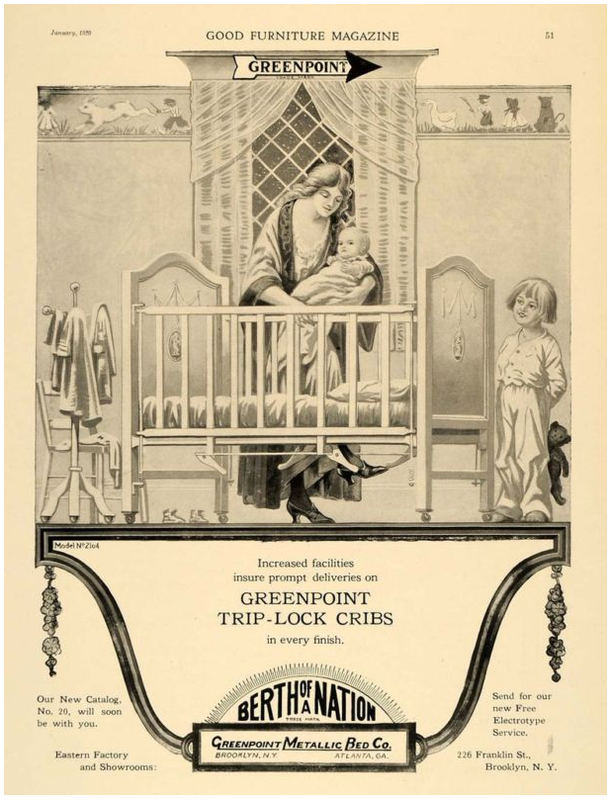 Who knew the Greenpoint Metallic Bed Co. on Franklin Street in my neighborhood of Greenpoint Brooklyn, made such quality Trip-Lock cribs. Notice the mom in high heels “tripping” the locks on this crib as her other son Buster Brown looks on. I suppose these cribs would have been recalled if they were still made. Maybe I will still try and send for their “Free Electrotype Service”.